Valle Bonhag- Member of The Olney Chamber of Commerce’s 2013-14 Board. 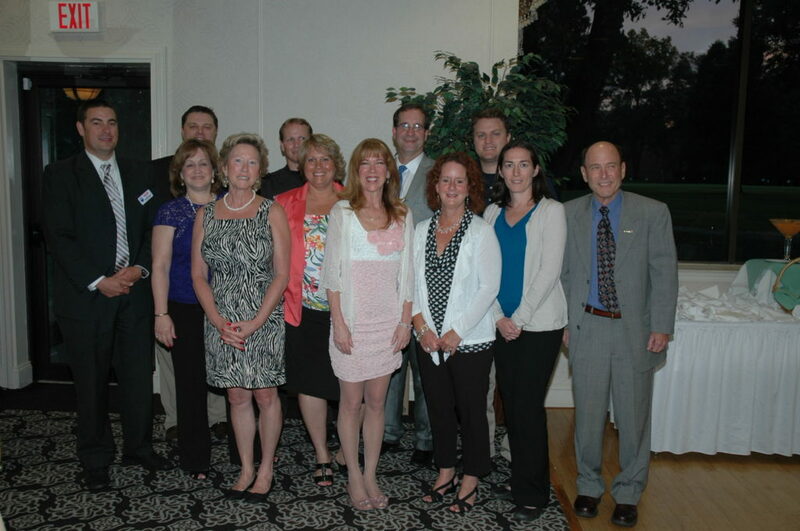 The Olney Chamber of Commerce held its annual Installation and Awards Dinner on June 13 at Norbeck Country Club. Cmdr. John Damskey of the Montgomery County Police Department’s Fourth District inducted the 2013-14 board members. Officers are Trevor Waddington, Christ Episcopal School, president; Joe Buffington, Re/Max Realty Centre, vice president; Shannon Gorman, Gorman’s Garments & Gear, secretary; and Jon Turgel, Sandy Spring Bank, treasurer. The at-large positions are filled by Alison Bawek, Studio of Ballet Arts; Richard Bienvenue, Our House; Valle Bonhag, Carl M. Freeman Cos.; Ellen Coleman, Re/Max Realty Centre; Toni Davis, Brooke Grove Retirement Village; Dawn Griffith, Sandy Spring Friends School; Erik Havens, Digital Industry; and Marc Rosendorf, Law Offices of Marc Rosendorf. The chamber also announced its 2013 scholarship winners: David Mazzeo II, Emily Rowe, Adam Berger and Melissa Chaput, all recent graduates of Sherwood High School. The scholarship committee reviewed more than two dozen applications from six area schools. Winners received a $1,000 scholarship. Selected by the chamber’s members, Toni Davis of Brooke Grove Retirement Village was named its 2013 Business Person of the Year. She was recognized for her enthusiasm during her first year as a board member, her efforts as co-chairwoman of the Greater Olney-Sandy Spring Area Athena Award and her dedication toward improving the health and care of area senior citizens. Bienvenue and Our House earned the chamber’s 2013 Partners in Business Award. For more than a decade, the nonprofit residential job training program in Brookeville has partnered with the chamber and other local organizations by providing its students to help prepare for, operate and wrap up all major events in the Olney area. Waddington selected Pam Spears for this year’s President’s Award, for her 15 years of dedicated service to the chamber. Spears is concluding her long run on the chamber board, which included a pair of two-year terms as president. Although her direct board involvement is ending, Spears said she plans to remain an active member, continuing to volunteer her time and energy to chamber activities. Damskey received a Special Recognition Award for the Fourth District’s continued support of the Olney area, and the Olney Police satellite station. Members of the Olney Chamber of Commerce’s 2013-14 board, installed June 13, are (front row, from left) Shannon Gorman, Alison Bawek, Valle Bonhag, Dawn Griffith and Richard Bienvenue; (middle row) Joe Buffington, Ellen Coleman, Toni Davis, Marc Rosendorf and Erik Havens ;(back r0w) Trevor Waddington, with Montgomery County Police Cmdr. John Damskey.